Production start: 1996, Production ended: Yes. Sound Module/ Tone Generator, Digital (D), Multi Timbral Capacity: 16 part(s), Production start: 1991, Production ended: Yes. Sound Module/ Tone Generator, Digital (D), Voices: 32, Multi Timbral Capacity: 16 part(s), Production start: 1990, Production end: 1995, Production ended: Yes. 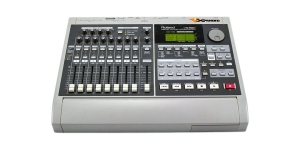 Sound Module/ Tone Generator, Digital (D), Voices: 32, Multi Timbral Capacity: 16 part(s), Production start: 1991, Production end: 1995, Production ended: Yes.